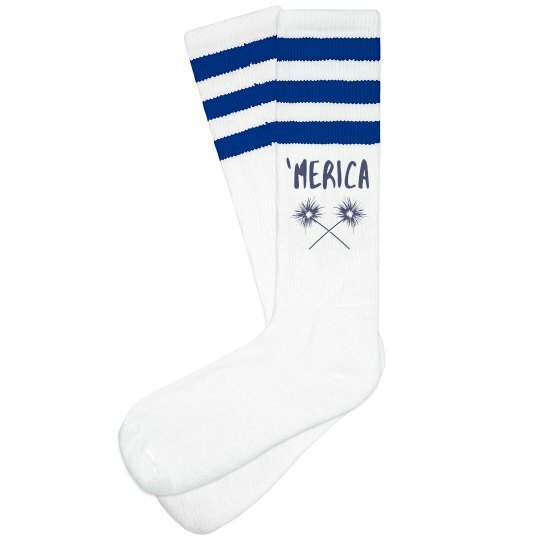 Celebrate 'Merica with these awesome patriotic socks on the fourth of July. Get the sparklers and the fireworks out, and light em all up. It's Independence Day baby! These socks are perfect for any American event.